Oct. 9, 2016 Updated: Oct. 10, 2016 7 a.m.
A tiny Wine Country town with little more than a popular barbecue joint and a smattering of homes has become the latest battleground over trains hauling hazardous fuel. About a mile’s worth of railcars, many carrying liquefied petroleum gas bound for refineries, were recently brought for storage to a little-used track in Schellville, just a few miles south of downtown Sonoma. The tank cars, which sit idle amid sprawling pastureland, have begun to raise safety concerns among neighbors as well as with the operator of the North Bay’s soon-to-debut commuter train. Last week, the new commuter rail agency SMART — which owns and manages the tracks in Schellville, though the passenger trains aren’t going anywhere near there — flexed its muscle by halting a freight train bound for Schellville with more petroleum. The company carrying the fuel protested, noting that other goods like grain were also being held up. The railroad industry maintains that shipping and storing petroleum, a standard practice in the U.S., is safe and far superior to using trucks. And now federal mediators have stepped in to try to settle the matter. Suspicion about fuel shipments is up across the nation after a handful of train explosions in recent years. 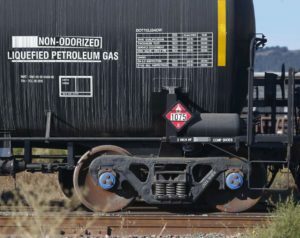 Within just the past month, the city of Benicia rejected a proposed train depot that would have meant more crude oil deliveries to the area, while San Luis Obispo County voted down a new rail spur for a refinery on the Central Coast. While the issue in Sonoma County is unique, it similarly pits the concerns of residents — which typically involve community safety but sometimes veer into the broader politics of fossil fuels and climate change — against the rights of freight companies to haul goods without local interference. The Surface Transportation Board, part of the U.S. Department of Transportation, is weighing whether SMART is inappropriately blocking freight service and storage in Sonoma County. The agency entered the standoff after freight train operator Northwestern Pacific Railroad — alongside the regional rail administrator, the North Coast Railroad Authority — petitioned the board on Tuesday. The parties insist that only the federal government, under interstate commerce law, has the power to determine what can and can’t be on the tracks. SMART officials see things differently. A 2011 agreement between SMART and the railroad authority, which set the stage for commuter service that will run from San Rafael to Santa Rosa starting in December and will eventually connect Larkspur to Cloverdale, put the new rail agency in charge of dispatching not only passenger trains but also freight. Although commuter trains won’t run in the Schellville area, and the petroleum trains won’t travel on the new passenger route, SMART officials say the contract authorizes them to prevent fuel storage on their tracks. The rail agency only found out about the petroleum cars in recent weeks after a maintenance employee discovered them. The gas is expected to remain in Schellville until winter, when it will likely be hauled to refineries in the East Bay, according to the North Coast Railroad Authority. In a letter to the Surface Transportation Board on Thursday, SMART officials asked the federal agency not to intervene in the dispute because it involves a local contract, not interstate commerce. 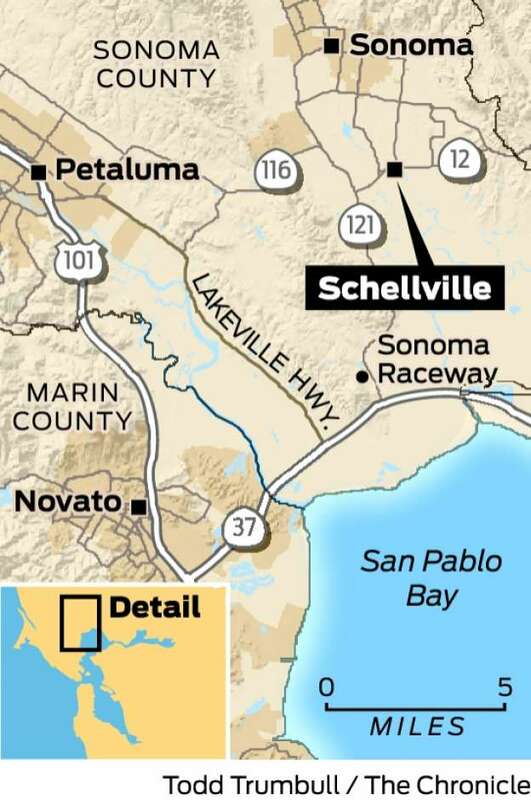 At last count, about 120 cars sat on the Schellville tracks along Highway 121, part of a branch line that extends to Napa County, where the freight trains come through. Roughly 80 of the cars contain liquefied petroleum gas, a flammable material used in heating and motor fuel. While freight storage on railroad tracks is common, the sight of the tank cars — and the memory of recent accidents — is not going over well in Schellville. A high-profile train fire in Oregon’s Columbia River Gorge in June didn’t involve liquefied petroleum gas, but rather crude oil, as did a runaway train in Quebec three years ago that exploded and killed 47 people. Less serious accidents, though, have involved the gas. The North Coast Railroad Authority says the tank cars in Schellville have been inspected recently and meet federal safety standards. The rural storage location was chosen because it’s out of the way. “There are far more cows there than there are people,” Stogner said. Since SMART halted the Northwestern Pacific Railroad’s freight train on Oct. 2, the agency has allowed nonhazardous cargo to proceed — mostly grains bound for feed businesses or Lagunitas Brewing Co. in Petaluma. Stogner said the action doesn’t go far enough. Twelve cars with liquefied petroleum gas remain hung up on the line, which he worries could set a precedent for obstructing other freight, hurting both railroad revenue and deliveries to customers. Bob Falco, co-owner of railroad client Hunt & Behrens Inc., a feed mill in Petaluma, said he got the grain he needed to make his company’s custom rations for cows and poultry, even though it was on the train stopped by SMART. This entry was posted in Blog on January 7, 2019 by Michael Catanzaro. When the Schellville Wildlife Preserve Goes BOOM! 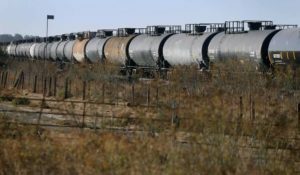 Rail Tankers Threaten Environmental Pollution and Damage!